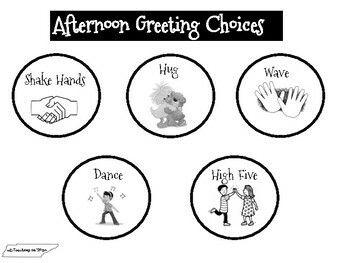 These are choices for a greetings for your students. There is the choice between color and black and white! 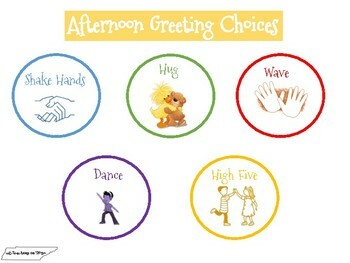 There is also morning greeting, afternoon greeting, and just greeting if you want to do both with your students! Your students will have the choice to dance, wave, hug, high five, and shake hands!